Mondrian Park Avenue is a premier crossroads for worldwide travelers and the NYC elite. The hotel features an award-wining Mediterranean culinary concept known as the CLEO. The ground floor corner space of the CLEO provides streetscape views and can accommodate 200 guests. 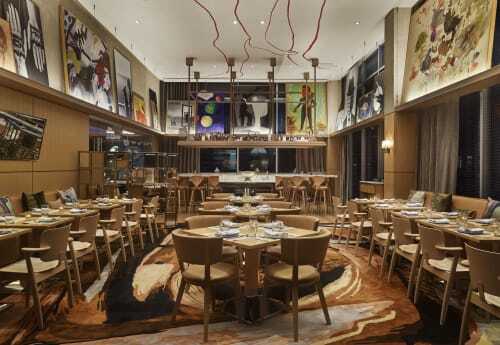 The CLEO’s semi-private space, CLEO Bazaar, can accommodate groups up to 66 guests. The CLEO at Mondrian Park Avenue can host your corporate events, receptions, birthdays, and much more.